The Body Shop has a some hot offer son now! 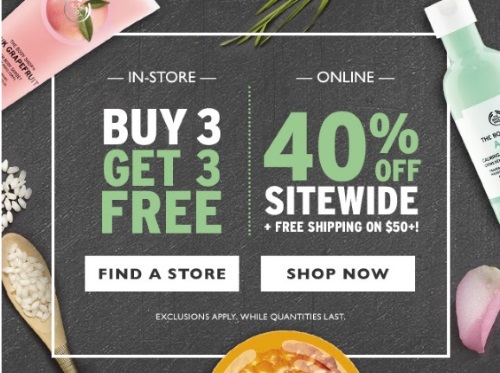 Online save 40% off sitewide plus Free Shipping when you spend over $50. Also online only get a Free complimentary shower gel with ay $65+ purchase, select yoru favourite at checkout. In-store you can also take advantage of their Buy 3 Get 3 Free offer.